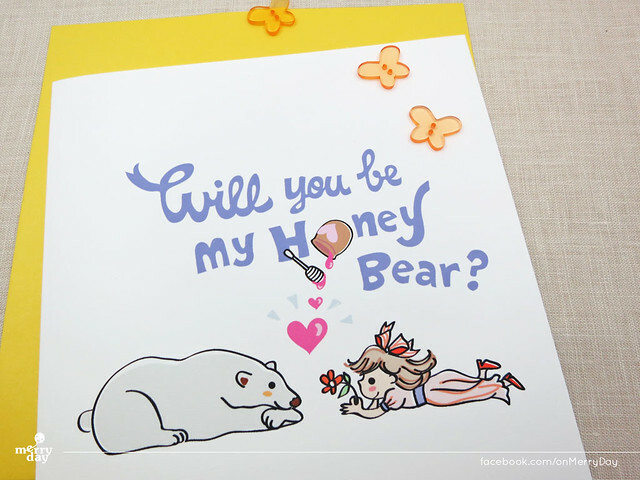 Behind the Lines and Colors : Will you be my honey bear? 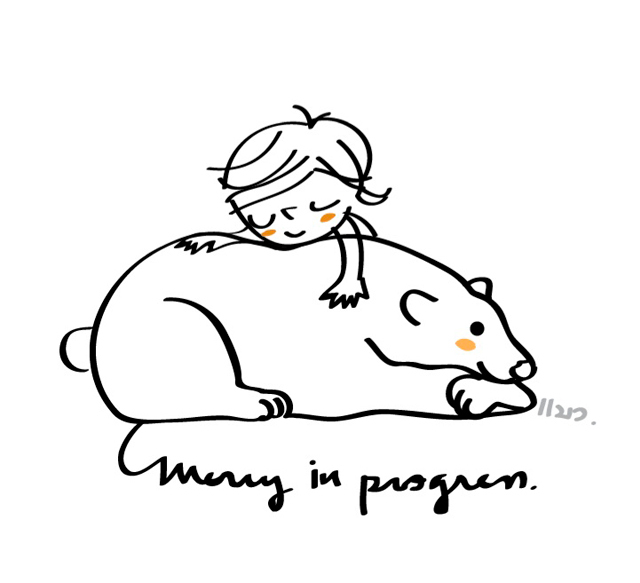 One of MerryDay's card that I love. 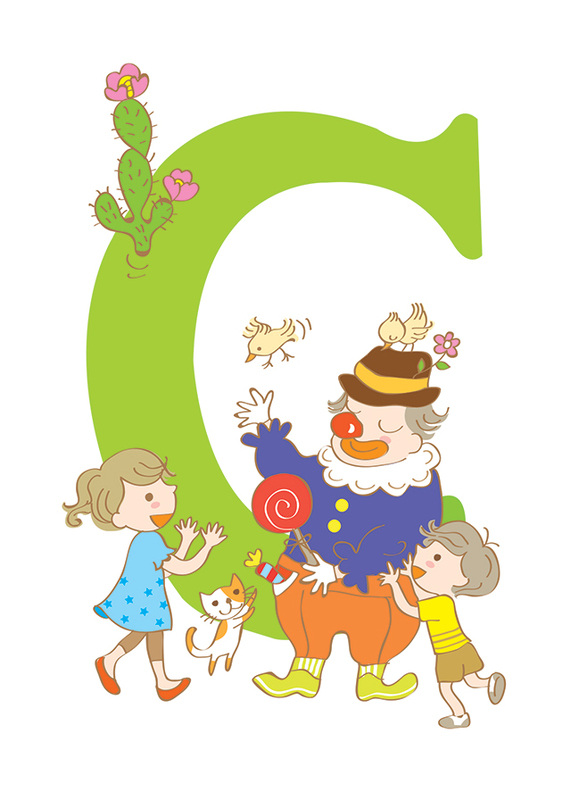 This design is originally one of my 365 days I draw challenge. The topic is SMITTEN. 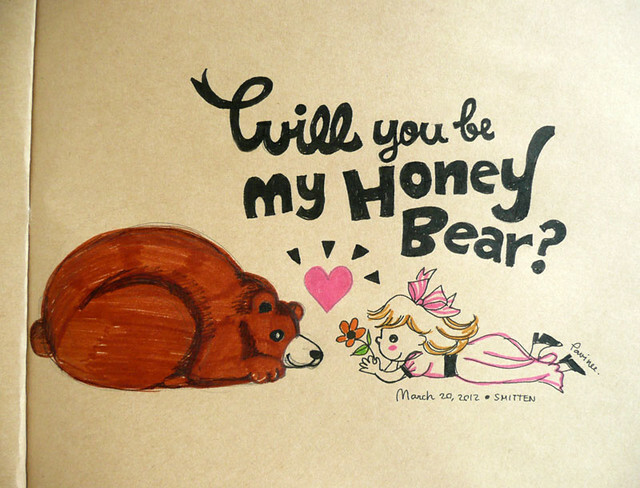 Not sure what came to my mind first, drawing a bear or the caption 'Will you be my honey bear?"